Kelley Nassief | Dispeker Artists, Inc.
“If the angels in heaven really sing, please let them do it like Nassief. Her voice combines the best of two worlds: It has bel canto size, warmth and height, and yet is svelte, with a youthful sparkle.” So wrote the Leipziger Volkszeitung when Kelley Nassief sang Elijah with the Gewandhausorchester and Kurt Masur on the occasion of the sesquicentennial of Mendelssohn’s death. In demand internationally as a concert soloist, in the 2017-18 season Kelley Nassief sings Beethoven’s Symphony No. 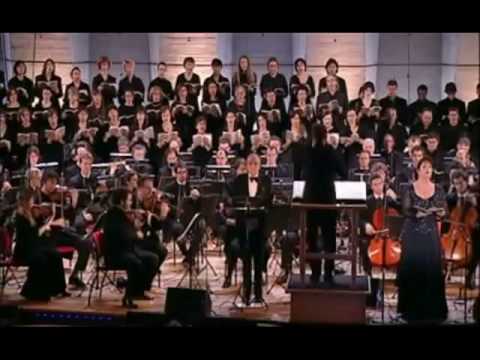 9 with Orquestra Filarmonica de Boca del Rio (Mexico), Bernstein’s Symphony No. 3 (“Kaddish”) with Orchestre National de France and with the Tucson Symphony Orchestra. "Nassief sang majestically...She definitely got the last word in the 'Libera me' section. Her voice soared and her emotion was heartfelt and genuine."